Marcopolis presents the Morocco Report focused on the investments, doing business, economy and other topics featuring interviews with key executives and government officials. The sectors under review are industry, telecom, banking sector, ICT, investments and more. Give us an overview of the investments in the region. First, I must describe what a RIC is. Regional Investment Centers are public institutions created by His Majesty, Mohammed VI, in Morocco in 2002 to make life easier for investors by smoothing out all the administrative difficulties in setting up businesses. Morocco has practically resolved this issue now and not only in this region. This region has become a locomotive for the national economy as big regions such as Casablanca, Tangier, Marakesh and Agadir. starting with the certificate, legalization, the commercial register and all that is done here, in our premises. Last year, for example, foreigners came to create a society, they were in a hurry, but they were ready and the company was established in three hours. The second mission of the Regional Investment Centers is to provide assistance to all project managers to facilitate their tasks. Our assistance starts by providing basic information, because to realize any project, the investors need to have reliable information, which the CRI has readily available. For example, our work ranges from seeking financing, getting the permits and accreditations, or even assistance with the hiring. As a matter of fact, we often work with ANAPEC, to find personnel which meet the enterprise’s needs. And finally, our third mission is what we call “territorial marketing”. This means promoting our territory by making known its potential, its resources and its wealth to investors, to convince them to come and build their projects in our region. Regarding investment and development, I can tell you that we have started to work on investment projects in 2003. The results were important especially in numbers. In the first years, 2003 and 2004, we were having around 1.2 billion to 1.5 billion dirham of accredited projects only, here at CRI. We finished 2009, with over 10 billion dirham, which is approximately 8 times better than in 2003-2004. Of course, 2010 will be worse due to the international situation and Morocco, although Morocco remains a dynamic country with a relatively high growth rate compared to the neighbouring countries, it is still affected by the regional and global events. Overall, I think we’re doing well and getting through it nicely. We are talking about numbers. 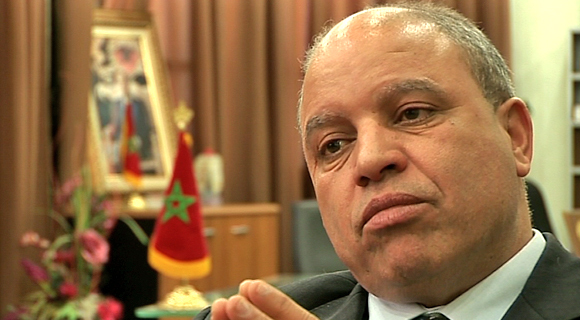 Qualitatively, what does the region of Meknes-Tafilalet offer to investors? What are the key points of its offer? The region of Meknes-Tafilalet is primarily a vast region with around 80,000 square kilometers in size, almost twice the size of Belgium. The most important thing is not its size, but the wealth of this region. The region is rich thanks to its natural resources, its culture, its history, its demography and thanks to all the infrastructure built by the public authority. Let us clarify. First, the natural wealth: this region covers all aspects of biodiversity. It's an area with mountains, dunes, one of the largest plains of Morocco, the Plain of Sais - in the time of the Protectorate, it was the breadbasket of Morocco - the largest rivers of the country begin in this region, the best dates of the entire world come from here, from the Errachidia area. In addition to the nature, we must add the historical layer. This region is the cradle of the first Muslim dynasty of North Africa, the region of origin of the present reigning dynasty in Morocco, the Alaouite dynasty that comes from Sijilmasa, and the birthplace of several tribes. 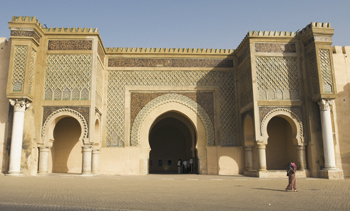 The city of Meknes is a city known for its rich and monumental architecture, virtually a copy of Versailles. Moulay Ismail, founder of the city, was a contemporary of Louis XIV and there were many exchanges between them. Ismail wanted to provide Morocco with a city that is reminiscent of Versailles. In addition to history, there is the culture. The region has a vast territory with a diverse population. There are the Arabic-speakers, the Berber-speakers, and many Jews. This region has a rich cultural and religious importance and there are many historical sites. In addition, there are large enterprises. This is the case of the Celliers de Maknès, one of the largest companies in Morocco that is currently developing olive oil production in Meknes in addition to being in virtually all sectors of the economy, located in Casablanca, Tangier, Rabat etc. Of course, there are other well-known companies working in export. This is the case of Aisha, of the Devico Group and of CHCI, Morocco's leading exporter of olive oil to European and American markets, the Belmekki group , a company that has started there seven or eight years ago as a SME and that has become one of the biggest businesses nationwide. What are the foreign companies' most prestigious projects? What types of businesses would you like to see come here? First of all, we wish that the biggest enterprises in the food industry will come here because we have started an agricultural center at Meknes, the ''Agropolis'', responsible of increasing the competitiveness of agro-industry in Meknes. It is the largest center in this field in Morocco, which will be expanded over time, on 580 hectares. Unlike conventional parks, this project is not only an industrial park: we have reserved 50 hectares, in the first phase of the development, for the logistics, the training and the research, allowing companies to realize synergies and innovative projects. Companies within Agropolis will add value to Mekens-Tafilalet agricultural products, for example to conform with the EU labelling and packaging norms to be further exported via dry port to Europe and elsewhere. Any investor that can add value in the value added chain for agricultural products is welcomed in Agropolis. In the field of tourism, there is much to do. For example, I just got had a conversation with one potential investor from Marseilles who proposes to construct a residence for retired people who come here to enjoy the favourable climate for their health. You must ask why bother doing it here? First, there are hospitals able to provide the necessary care to the people of this age, we are 30 minutes away from the international airport of the city of Meknes and there is a relatively developed infrastructure of service delivery in the city that meets the needs of elderly. There is such a world of possibilities: mountain tourism, natural tourism, ecotourism, Saharan tourism. Lastly. 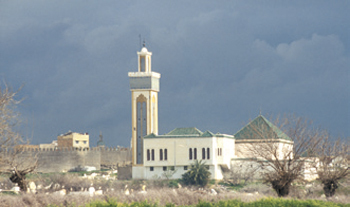 there are significant opportunities for mining and exploitation of renewable energies in the region of Meknes-Lafilalet. A French multinational is currently prospecting in the field of wind power and both Italians and Germans are also interested. A Chinese company has even begun the first solar project in the area of Errachida. The area is very welcoming, but does everyone know the region? What remains to be done? What are the areas for improvement? We cannot say that everything is done. We tried to get ourselves out of lethargy. Our job is to know the area demographically, to know the resources, the potential, to be convincing, to make the investors' mouth water and interest them to come and invest in Meknes-Tafilalet. The region offers it all: its wealth, its good living conditions, its favourable climatic conditions and its pleasant living environment. We have several cities where people can live, including Meknes, with its friendly neighbourhoods, well built, well equipped, possessing training institutions. For instance, the Lycée Paul Valéry, a great historical building that trains the future elites, receives students from all across the country. There are also many institutions that train the young Moroccans, some universities are among the top universities in the kingdom, including the Moulay Ismail University. One feature of the region, worth mentioning is the city of Ifrane, Morocco's little Switzerland, you find an extremely picturesque environment to spend both summer and winter vacations. 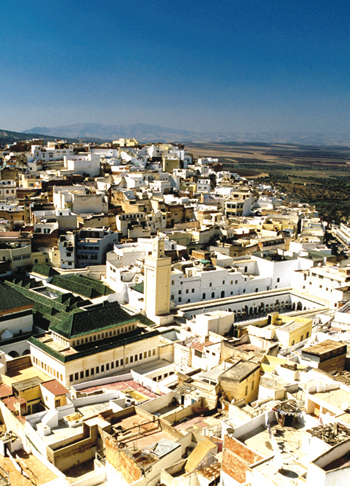 The town is visited by hundreds of thousands of Moroccans during these periods. This is the beating heart of national tourism. At Ifrane, there's the only English-language university in Morocco, Al Akhawayn University, which trains the future elite and the graduates work in the administration of major enterprises at home and abroad. How is the relationship between Europe and the region? What about its relationship with the Arab world? And the investors, from which country are they coming? Are they coming now? It's especially the French, the Italian and the Spanish who come to work in the area, but gradually the German have begun to solicit the region, then the English and the Portuguese. We now have a growing popularity in Gulf countries, including the Emiratis, the Saudis, the Egyptians, even the Tunisians and the Algerians are interested by the region. The evolution is discernible and an important promotional work can go in that direction. The RIC's goal is to participate systematically in numerous international meetings, exhibitions and fairs, which allow us to publicize the area. We are trying to forge links to create a real network, because in the world today a network is very important. I give you some examples: last year, we signed an agreement between the French Chamber of Commerce and Industry, the Council of Meknes-Tafilalet and the Regional Center of Investment. The objective of this convention is to allow national institutions to go in France to present our projects and our potential and vice versa. The latest edition of the Chamber's magazine shows a photo of a large delegation from the region of Meknes-Tafilalet who went to France-expo in the hope to forge links with other exhibitors. Another example: we will soon sign a partnership agreement with the Pôle Orly-Rungis in France. The objective of this convention is to allow these two institutions to work together to locate and establish partnerships with other companies. The first action that will be done in that direction will be the creation of a school of animation and cinema in Meknes. The signing will take place in February and I hope that 2011 will move forward on this issue. To conclude our interview, what are your expectations for the year 2011? What are the challenges that lie ahead? How do you hope seeing your region thrive in the next five years? The next fifteen years? 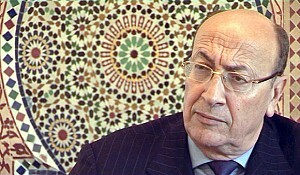 I wish that this region will become a locomotive of the national economy like Casablanca, Tangier, Marrakesh and Agadir, that it will become an important region because it has potential and that it will not only be a success for its population, on the contrary, it will have a positive effect on the entire national territory. How do we see 2011? We will continue our work; we will even accelerate the pace to try to strengthen and promote partnerships to attract as many investors as possible in our region. In conclusion, the manner with which everything was arranged with you since yesterday shows a willingness to allow this region to become known nationally, and internationally.